GIFTS, FOODS, MORE Gifts "Beautiful, surprising, delightful" ... "Fascinating, unexpected, charming" ... just some of the words people use when they wander through our gift displays. You'll find jewelry, books, hats, clothing, knick-knacks, toys, creams and lotions, just about anything that has caught our fancy – and that we think will capture yours. Special seasonal gifts too, from Christmas to Valentine's to Halloween and more. Plus, the best place to buy books, artwork and other items related to Wardensville, Hardy County, the Capon Valley and the Mountain State of West Virginia. Star Mercantile is a pretty big place, but sometimes we just have too many treasures to pack into our four walls. That's why we opened the MORE Store, just across the street in a hundred-year old building that started out as a Methodist church and was a longtime clothing and shoe store in Wardensville. 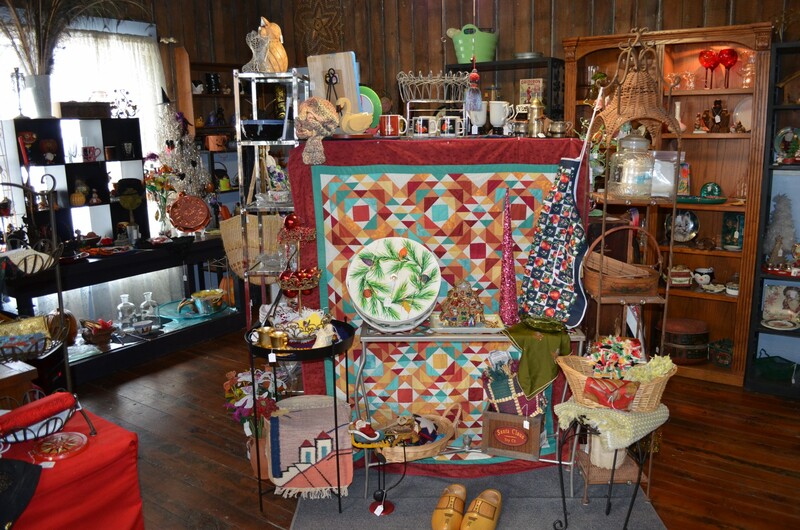 Check out the beautifully restored tin ceiling and tin walls, then check out the fabulous gifts, antiques, second-hand treasures and unexpected delights that have spilled out from the Mercantile. Open Saturday and Sunday, 11 a.m. to 6 p.m.
You want a nice, clean, friendly place to do your laundry, and the Wishy Wash is just that. We're open seven days, right on Main Street in Wardensville (just a block down from Star Mercantile), and offer free wi-fi so you can stay connected while your wash goes round and round. When we find locally-made goodies that we love to eat, we want to share them. That's why we bring to Wardensville a big selection of delicious food products from McCutcheon's Apple Products (jams, jellies, relishes and yummy pickled beet balls), Golden Angels Apiary (honey), Millcroft Farms (jams and hot sauces) and much more. What the heck IS that? Well, that's our Big Chicken (a rooster, really). 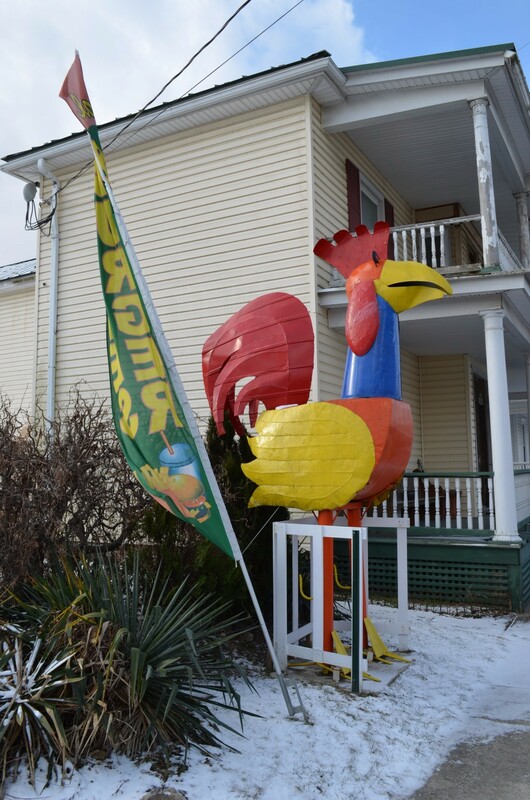 He stands just across the street from the Star Mercantile to let folks know where you can get the most delicious chicken for miles and miles around. He's a very vain bird, so if you take a selfie with him and post it to our Facebook page, and you can get 10% off your Broasted chicken meal at the Star! Looking for a wonderful place to stay while you're here in the Wardensville area? 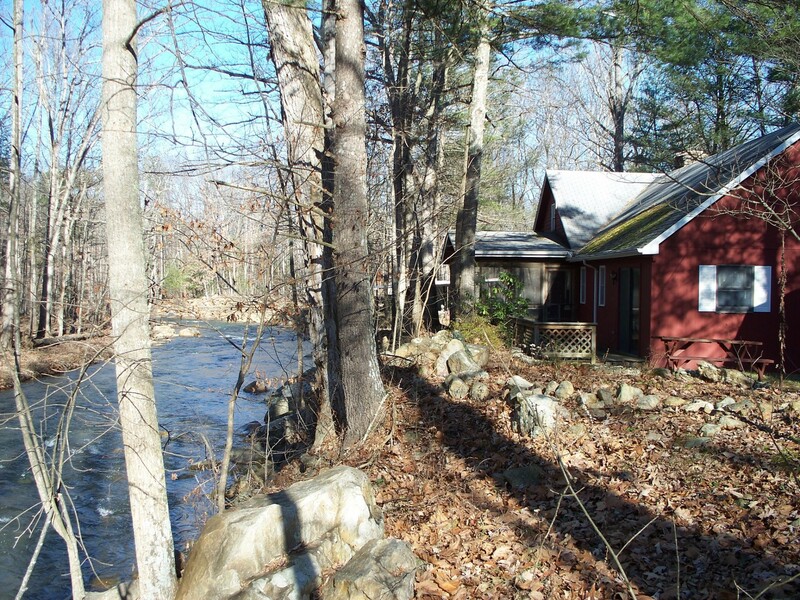 Come set a spell at the Cabin at Trout Run, available for a relaxing weekend or a weekly getaway. Check out their Facebook page for more information. Monday: 11 a.m. to 6:30 p.m. Friday: 11 a.m. to 7 p.m.
Saturday: 8 a.m. to 7 p.m.